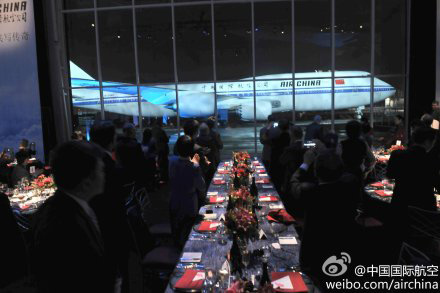 Air China and Boeing celebrated the delivery of the airline’s first B747-8 Intercontinental in Seattle yesterday. The length of the Superjumbo is 76.4m – 5.5m longer than the B747-400, and it can carry 467 passengers. The aircraft will also offer improved fuel consumption and emissions compared to its predecessor and will generate 30 per cent less noise. Inspired by the Dreamliner, the interior will include a new curved design, giving passengers a greater feeling of space and comfort. More space will also be offered for storing personal belongings. 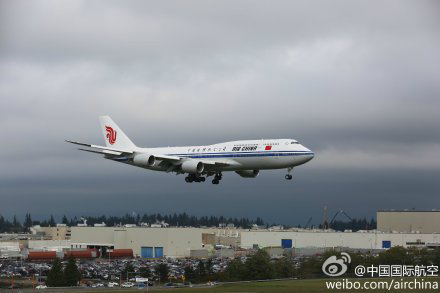 The aircraft will arrive at Beijing Capital International airport on October 1, the National Day of China. It will begin operation to Chinese cities starting from mid-October, and will serve international routes such as from Beijing to Frankfurt and Los Angeles towards the end of the year. 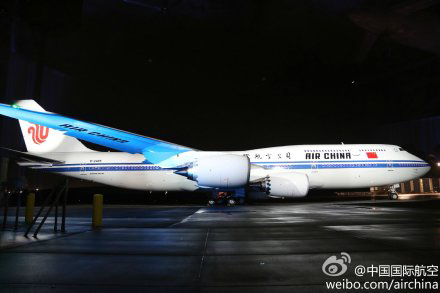 In addition to the seven B747-8s, the Chinese flag carrier also has 15 B787-9s on order.